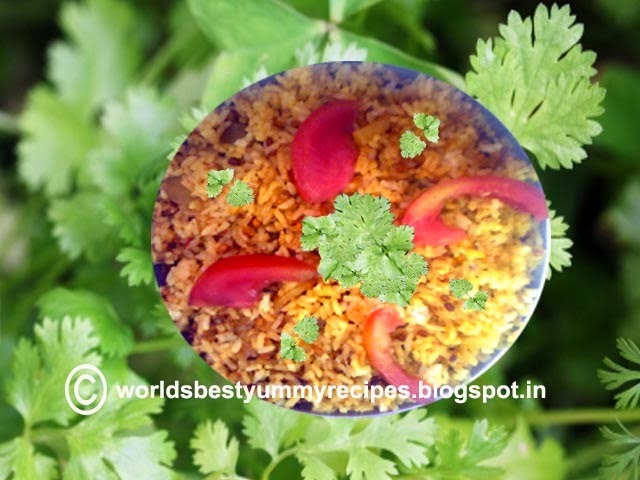 Soak rice and Arhar dal(pigeon peas) in two pots with water separately. In cooker put ghee(clarified butter), add cardamoms, cloves, cinnamon in it. Add rice and 3 -1/2 cups of water in it, mix all the ingredients very well, cover it. now garnish it with coriander leaves.